When you think “improv,” you might picture a group of comedians at a local club, riffing on audience suggestions. But the skills of improvisation – active listening, adaptability and problem solving, among them – are skills that aide successful community professionals. Zach Ward, chief optimist for YesAndLife, owner and artistic Director of DSI Comedy, founder and executive producer of the NC Comedy Arts Festival, has consulted and delivered programs internationally for clients, including TEDx, Creative Mornings, Procter & Gamble, Comcast, Motorola, Cisco, Biogen, GSK, Old Navy, YMCA and Citrix. 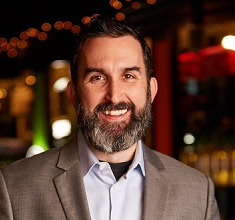 Zach has developed a passion for applied improvisation and comedy over the last 20 years and, for more than a decade, an obsession with compassion, empathy, organizational development and business. In addition to professional speaking, coaching and team building, Zach provides comedy talent for events all across the country. He practices “Yes, And” with his own employees, and with his 4 year-old son, every day. 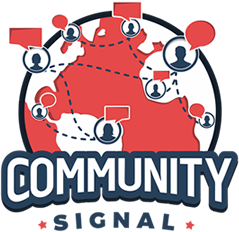 00:20 Patrick O’Keefe: Hello, and welcome to Community Signal. On this episode, we’re talking with Zach Ward about using improv to be a better communicator and community pro. Zach is the Chief Optimist for YesAndLife, owner and artistic director of DSI Comedy, and founder and executive producer of the NC Comedy Arts Festival. He has consulted and developed programs internationally for clients including TEDx, Creative Mornings, Proctor & Gamble, Comcast, Motorola, Cisco, Biogen, GSK, Old Navy, YMCA, and Citrix. Zach has developed a passion for applied improvisation and comedy over the last 20 years, and for more than a decade, an obsession with compassion, empathy, organizational development, and business. In addition to professional speaking, coaching, and team-building, Zach provides comedy talent for events all across the country. He practices “Yes, And… ” with his own employees and with his four-year-old son every day. Zach, welcome. 01:12 Zach Ward: Thanks so much, Patrick. 01:14 Patrick O’Keefe: It is a pleasure to have you. You know, I’ve known you for, gosh, probably six, seven years, I want to say, because we spoke at a conference together, Social Media Business Forum, I think it was, in Durham years ago, and that’s how we met. 01:25 Zach Ward: Yeah. Once upon a time. 01:27 Patrick O’Keefe: Yeah. So, we shared a panel once and we’ve kept in touch. I had the pleasure of visiting DSI Comedy in Chapel Hill on Franklin Street there, right near where my brother had his dorm when he went to UNC, and it was a lot of fun. I felt bad because I didn’t raise my hand to volunteer for anything, but I was sort of checked out. I was sort of like, you know what? I talk a lot and I just want to sit here and just kind of enjoy and have a few laughs. 01:47 Zach Ward: Yeah. Sometimes, as a personal community manager, just being able to sit back and observe is probably a good thing. 01:55 Patrick O’Keefe: So, the idea of “Yes, And … ” is core to improvisation, hence your company name. But for those who don’t know, what does “Yes, And … ” mean? 02:02 Zach Ward: Well, “Yes, And … “, as sort of a fundamental principle and philosophy of improvisation says that we will, in collaboration on-stage, and what we do as improvisers is we create art by committee. And in order to do that, we will say yes to whatever our co-collaborators, our scene partners, create. We will say yes to it, and this next step, which is probably even more important, is the “and”, which means that we will explore and heighten another person’s idea before we push our own agenda. So, the “yes” is this ubiquitous feeling of positivity and excitement, enthusiasm about creation, and the “and” sort puts your ego in the backburner and gives a little bit more focus to the people you’re working with, hopefully in the spirit that, similar to the Golden Rule, you focus, explore, heighten another person’s ideas, and when the time comes, they will do the same for you. ­02:57 Patrick O’Keefe: Collaborative art. I like it. You know, I have said before that community is my art, so that might be a very kind way of looking at community, but that’s what I think. I see art in it, and it is nothing if not collaborative, because if you have someone who asks a question, starts a discussion, brings something up, and then the next person just sort of says, “No, stop,” because we don’t really have a conversation, we don’t have an answer, we don’t have anything. It just stops, and it’s just not the way community works, whether it’s in person or online. 03:24 Zach Ward: And it’s interesting. It feels like, on the flip, that there is an art to all of the business that we do, and then when we teach comedy, we teach the science of comedy. So, we bring what we do in the spirit and philosophy of “Yes, And … ” into all the aspects of business, community, and organizational development, and then on the flip side, apply science and sort of rigid structure to comedy when we teach it. 03:52 Patrick O’Keefe: So, today on the show, we’re going to talk about improvisational techniques, things that Zach teaches to his business clients and how we can sort of apply that to our online community work. Because, you know, it’s really a structure for communication, and that’s a big part of community, so I’m looking forward to talking about that. So, first of all, you told me before that you try to preach compassion, and you cited a quote by Del Close, “Every interpersonal situation has a solution in which everyone wins.” How do we get there? 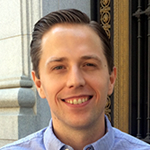 04:18 Zach Ward: So, in this, I think a lot of people come from a place of defensiveness, and when I actually go into clients and client situations to teach “Yes, And … ” and introduce the concept of “Yes, And … “, I’m often brought in because a culture or a situation has gotten to be very toxic and has gotten to be very negative. And so, I’m most often familiar with the very deliberate turnaround of a community, but I think, rather than getting to that space, if people are listening to this, then they’re obviously interested in the idea of slowing before we get to a critical pivot point, right? 04:56 Patrick O’Keefe: Right, before the toxicity. Although frankly, I often get emails or people who want me to take a look at something after it’s too late. But yeah, that’s true. 05:05 Zach Ward: Yeah. And I think that the same rules that would apply, like, once we go in at that sort of toxic intervention moment, is the idea of active listening, of being fully present and aware and listening with the hope and intention of solution, rather than winning. And there’s a difference between winning and hoping for a solution. And I think a lot of interactions that fail fail because one or both parties were intent on winning the interaction, rather than collaborating together to look for a solution for that conflict. And so, when we process “Yes, And … “, like I said, the “and” part is about exploring the other person’s idea before pushing your own agenda. And when you’re intent on winning, you’re likely pushing your own agenda. You have a limited amount of time. You want to focus on your own success. That’s where you’re at. 06:03 Zach Ward: If you are willing to be present, listen, and where the other person is coming from, then you’re more likely to reach a solution together. 06:56 Patrick O’Keefe: I mean, we talk about the idea of the self-made man, the self-made person. I don’t necessarily believe in it. I think we all have help. But it’s interesting, because just in the corporate environment, it seems counterintuitive almost to look at it that way. 07:09 Zach Ward: And it’s very difficult to look at, because I come from a place of improvisation, and when we improvise comedy on stage, we are working with at least one other person and sometimes up to seven or eight other performers. 07:22 Patrick O’Keefe: And if one person stands up and says “Me, me, me,” everyone else hates that person, right? 07:26 Zach Ward: Yeah. And you know what? But there are definitely ensemble dynamics, team dynamics, that would still celebrate someone who is adored by the audience. So, I think one of things about looking for a solution versus looking for your own individual win is having short-term and long-term perspective. A lot of that sort of requires a larger awareness of your place within the world and what it means for the team to win, even if you didn’t score the winning goal, even if you didn’t get the last shot in. And I think there’s an opportunity in “Yes, And … ” to celebrate the success of the collaboration and everyone’s part in it. So, one of the things about that “Yes, And … ” is sort of knowing who got the assist, and I know I’m coming from Chapel Hill, and so Carolina just made it into the Final Four. 08:16 Patrick O’Keefe: Yes. In a big way. 08:18 Zach Ward: But we’ll look at Dean Smith and Tar Heels and requiring that, if you scored, you always point back to the person who passed you to the ball. And so, in a startup community, how do you introduce the idea or sort of mandate the idea that the support system for these high performers, the support system is critical to their success, and so acknowledging those support systems actually sets everyone else up to succeed. 08:47 Patrick O’Keefe: Community, by its nature, is sort of like that. Good community, right? Good community managers, good community owners, whatever, are usually, in my experience, very selfless. I’m not a huge fan of the … People say, like, community manager, that’s a rock star. I don’t think so. No, I think good community pros are people who are constantly shifting praise. No one wants me to stand up and make an announcement saying how we just reached a million posts and how great I am for that. No one wants to hear me talk about that. [Laughs] So, those are always opportunities to shift praise, and I think community, more often than not, attracts people who want to do that, but then when they get into those corporate environments, it’s almost like they have to strip themselves of that, and I think that’s unfortunate. It’s almost like a backwards thing, because they sort of have the principles that you’re talking about, but then they get there and it’s almost like those principles aren’t always rewarded. And that’s unfortunate. 09:36 Zach Ward: I mean, there are two ways to see it, because I do a lot of work with corporate clients, and then also with nonprofit organizations, and I think looking at a nonprofit organization that has the goals and intentions of support, of shifting praise, of shining the light on someone other than the director, you have this space where you want to shift praise, you want to spread the attention around, but there’s also the side of that, which is people want to be a part of a party. People want to donate to a ship, an organization. They want to be a part of an organization or a movement that has some momentum, and that momentum is showcased through, in our case on stage, laughter. 10:22 Zach Ward: So, they will engage in scenes that are less directly funny because of the scene before, which was outright hilarious. They will engage in the rest of an organization or donate to an organization because of the accolades that the director got for a brand new program. And I think the entirety of a community can feel positive, and the number of posts that the community has, the place can feel like a momentum that creates energy on its own. And in order to do that, you need to humbly accept the award sometimes. 10:57 Patrick O’Keefe: [Laughs] You’ve got to humbly accept it. That’s a good way to put it. I think the success of the community is the success of everyone who contributes to the community. 11:05 Zach Ward: Including the director. So, for the director to shift praise all the time would maybe be a little disingenuous. 11:13 Patrick O’Keefe: Yes. Maybe what I’m trying to say, my grandfather had a saying he used to say quite a lot: “Self-praise stinks”. I think accepting praise when people give it to you is one thing and praising yourself is another, right? So, say thank you, accept that praise, because I get that, too. When I tell someone that they did something great and they totally just put it off, I’m not offering the praise with any entitlement necessarily, but you know, take the praise. Take the thank-you, tell me about your great team, but just recognize that you are a part of that. And when I was thinking about this, just on a more granular level, I mean, there are cases in communities where you literally have to separate people. You know, I’ve had it where there’s like, you know, you have a large community with lots of people in it, but these two people just continue to follow each other around from place to place, from virtual town to virtual town, so to speak, within the community, just going at each other in a way that is destructive to everything else that’s happening around them. 12:02 Patrick O’Keefe: And there are cases where it seemed like they want to win. Like, they don’t really care about having a good conversation or advancing something, finding a solution, if you will, but they just want to win, and so they almost have to be separated sometimes just for me to say, “Hey, there’s no winner here.” Like, you just have to stop. “Every” is a tough word. You know, that quote by Del Close, “Everyone wins,” right? “Every” is a tough word. Every, always, and never are tough words. And in community, we do have to deal with situations where we force people to do something they don’t want, leave a space, and they don’t like it. Is it still a win for them, do you think? 12:38 Zach Ward: So, I think in community management or understanding what is in someone’s best interests, and in 2017, presuming that you know what is in another human being’s best interest is taboo, to say the least, right? But in context of the community that we’re managing and the spirit and intentionality of that community, the energy that surrounds people, you have to manage those situations. And in managing that situation, in the short term, it may be something that they’re not happy about. But asking yourself as a community manager, am I making a decision that is the most positive for the most people involved? And that’s what I do on stage. That’s what I do in my classes. 13:25 Zach Ward: That’s what I do with my clients, is when I’m delivering a program or when I’m even crafting a joke that I’m going to tell on stage – am I creating the most positive experience for the most people involved? And not everyone’s going to like everything, and not everyone’s going to be excited about every decision, but I’m thinking about it in that way, that my job is to minimize the amount of negativity, and know that if I do have to remove someone from a community … Or, for example, I’ll put it in the context of just a comedy show here, we have shows that are family friendly. We have shows that are 100% clean and appropriate for all ages. And then we have shows late in the evening that would make cable television blush, right. 14:12 Zach Ward: And so, there are times that a parent, for whatever decision, has decided that they will bring their tweens to a late show. And I have to have sort of an intervention with them, and sometimes I have allowed them to stay, even though the kids of that particular family may be okay, it now impacts everybody else’s ability to enjoy the content, because they’re enjoying content that they feel awkward about enjoying, sitting next to an 11-year-old. 14:49 Patrick O’Keefe: Right. And it’s not fair to the performers either, right? 14:57 Patrick O’Keefe: And look at ten-year-old Johnny while I do it. 15:00 Zach Ward: Exactly. So, there’s a responsibility from a community manager and a producer of a theater and a business owner to think about context in all of the people involved. And even though someone is having a wonderful time creating a conflict in a forum thread and fighting, that fight or that cut back and forth, is having an impact on every other person that’s participating in that community. This is not something that you are not fully aware of. 15:29 Patrick O’Keefe: No, no. It’s a good point. It’s understanding who you exist to serve. 15:32 Zach Ward: Exactly. Moving them from space to space in these sort of digital theoretical towns in these spaces, maybe there is a space that’s more open to that kind of dialog and exchange. And you can try your best to steer people in the right direction within your communities, but ultimately, there are individuals that will accept that and sort of take the note and take the helpful direction, and then there are people who will not be satisfied, no matter what we do. And I think it took me a long time to get to the place where I realized that, and I knew that. I knew that there were people who would never be satisfied, regardless of my positive intentions. But I finally got to the place where I relieved myself of that responsibility. Their negativity is not my responsibility. 16:25 Patrick O’Keefe: Similarly, I’ve had conversations with members, and not once or twice, probably 20, 30 times over the years. But just people who, you know, they weren’t happy. It was clear. You know, the conversation is, “Hey, you know, I’m sorry, but this community is not going to change to be this thing it’s not. And there are many communities out there. There are many spaces out there that offer a lot of different things that are totally different from us, and I’m sure there are communities out there that will give you exactly what you want, but we are not that.” And even a friendlier way than that. I mean, try to make it a win-win, like, “Yeah, you know, we keep having to tell you that this action is not okay, and you keep coming back and you’re mad about it, and I understand that. But this community was like this before you got here and it’ll be like this in the future. This is how this community communicates. It’s not going to change for one person.” And so, you should really find the group that gives you what you need. 17:15 Patrick O’Keefe: That’s the best win-win scenario in that it’s just understanding that it’s not a bad thing. It’s not like … I’m not saying you need to get out. I’m not saying that you’re a bad person. I’m just saying that this isn’t giving you what you need, so life’s too short. Find what does give you what you need. 17:31 Zach Ward: Yeah. And the idea of empathy and compassion and sort of identifying with where someone might be in that moment, I think there are a lot of people that I have had transparent conversations with. I was as transparent as possible. What I realized was that people, especially in social communities and that sort of bridge between professional and personal connections, and the sort of networks that define them. If something changes or something is not what someone expects, that pushback is regret. They have invested a significant amount of time in something that didn’t give them back what they hoped it would have. And it’s not our place to judge whether our thing should give them that or shouldn’t give them that, but just really to understand that, on the very core level, they’ve invested whatever amount of time for themselves in this community and space. 18:26 Zach Ward: And in us asking them to try something else or in people not treating them and their contributions positively, it’s not giving them back what they hoped or expected that it would have. And so, just to know that someone is not fulfilled, it’s really hard to have a conversation to convert them into another way of thinking, or to say, “Oh, well, go try this other thing.” Because really, probably what has happened is that we’re not the first community where they have been unfulfilled. And so, you’re not asking them to leave this to go try one other thing. This is probably one of a long list of transitions they’ve had to make because they are unfulfilled. And so, you have the experience of this one community transition that you’re hoping for, and they are seeing it as just another thing that’s not welcoming them. This is hard. 19:20 Zach Ward: So, if you can, as a human being, see that this is a human being that’s looking for acceptance by a community, even if the way they’re looking for acceptance is by starting drama, right, and we’re asking them to leave. Again, how must that feel? And maybe if we can stay in that space, it’ll change our approach to be more empathetic of how they might feel in context of what we need for them. And so, it’s subtle, but it’s definitely changed my approach in saying, “I actually want you here. I want you to be accepted. I want this to be a win-win for everybody. But if it can’t be, if it doesn’t feel like it could be, then here are the options.” But really, in a place of complete understanding, active, empathetic listening, trying to get to, like, what is the core reason why they want to be there in the first place. 20:12 Patrick O’Keefe: I like that. And you mentioned active listening and being present a couple times. And so, how do you think that translates to text on a screen. And we talk about active listening, when someone’s right in front of you, oftentimes I hear people talk about things like not jumping to your answer, not working on your answer while they’re still speaking, like really listening to them without judgment and without getting ready to jump in. But when you are reading text on a screen, it’s there, you can consume it at your own pace. How do you feel that sort of thing translates? 20:43 Zach Ward: I think it comes with its own set of pros and cons. I think a lot of times, when we are communicating out loud with another person, people can be, again, just waiting for their chance to contribute, projecting forward to what they might want to say next, or where they want the conversation to go. And they’re not necessarily listening for the opportunity to respond to an idea. They’re just waiting for their turn. When you are actually waiting for someone to write back, you have the ability to read that, process it, and respond to it in your own time. But that creates the challenge of, if someone doesn’t respond back right away, is that a slight? What are the intentions of that person, that they have not written me back in 24 hours? This may not happen over a forum, but it certainly happens over text message. That three dot bubble, right? 21:37 Zach Ward: I know someone got the message and I know they’ve started to write a response three times, and then nothing. And so, you create this whole story in your head of what you think they’re thinking and what you think might come your way next. And all of that is rooted in your own fear of their negative reaction. So, in the space of “Yes, And … “, I am always challenging myself to be optimistic. I can’t control what they’re going to respond with, because I’ve already said my piece. So, I don’t have any director-level control over their response. I can wait for it and respond when it comes. And with the written word, obviously sarcasm is gone. There are so many studies of what are the nuances of verbal, nonverbal communication, and what gets lost when it’s just a quick, written message. 22:36 Patrick O’Keefe: There’s no upside. 23:27 Zach Ward: Or it will do something that’s sort of more subtle, which is it will normalize people’s contributions. So, people will say, “Well, I don’t want this negativity, so I will only post the most vanilla content.” And then you’ve sort of normalized the conversation in your community, and so, everything is in a narrow range of what would be generally accepted by other people in the community. And this is the equivalent to having the most boring house party. [Laughs] Everyone has a drink and everyone is spread out in their own corners of the room wondering what fun thing is happening in other places. 24:07 Patrick O’Keefe: There’s no reason to be there. 24:09 Zach Ward: There is no reason to continue to check in with that party. And you certainly don’t want to go back the next time you get invited. 24:15 Patrick O’Keefe: One area where this relates is in gathering feedback and hearing ideas from people, because a lot of community spaces do that in public. You can discourage feedback privately. Like, if I send Coca-Cola a contact message via their contact form with feedback and I get a response that makes me feel stupid, I’m not going to go back to Coca-Cola again. But in the context of communities, a lot of it’s done in public. There’s public feedback areas. So, you receive a lot of suggestions, and you can’t do them all. And realistically, you probably shouldn’t even do a majority of them. But the way that you respond to that feedback and the way you allow the community to respond to that feedback has the potential to scare away future feedback, but also maybe more importantly, lower the quality of the ideas and the thoughts that you receive in general, as people may be less likely to come up with something that’s unique or go out on a limb of be fully honest with you. Or they may just become yes people. That’s not going to lead to any progress. 25:11 Patrick O’Keefe: Like I said, it might be you responding, but then it might be someone in public saying something in response to a thoughtful suggestion where they just come in and sort of beat that person down. So, following along that train of thought, how do you encourage an environment where people feel comfortable sharing their thoughts and proactively discussing and building on them? 25:29 Zach Ward: Well, I think that one of the biggest things that has come up for me recently in the space of feedback and constructive criticism and criticism in general is supporting the idea of, in person, at least, the meeting after the meeting. And in online communities, the private message after the public post. And doing two things with that is to say you have, as a community manager, the opportunity to personally connect with individuals, no matter what their feedback was. And when we teach “Yes”, we teach “Yes” from a space of “I will support another person’s ideas, no matter what it is, and I will do my best to heighten and explore that idea towards the goal of understanding and possible collaboration. And in the spirit and philosophy of that, I want to celebrate the fact that they contributed not a great idea, but that they contributed anything at all. 27:23 Zach Ward: But can we continue to engage those people who are giving us feedback and find something about what they’re saying that we can include? And ways that we can shut people down and we don’t know it are telling people, “We’ve tried that,” or telling people, “We’re already doing that.” These things can make people feel valued less, because what it’s really saying is, “You didn’t come up with an original thought.” And again, this is about sort of breaking down into the core fundamental, like, when we say this, what are we really saying to them? What is the subtext or context of the words that we’re using and the interaction that we’re having? And can you put yourself into that other person’s shoes and receive that information and still feel good about it? 28:10 Zach Ward: Sometimes, we’ll get feedback at the comedy theater, and we know that we’re already working on it, and so part of you feels this need to say, “Oh, I already had that idea. I’m not just doing this because you told me the idea today.” And the reason that you want to chime in with “this is something we’re already working on” is ego. Your ego can’t handle someone who suggested an idea, convincing themselves that the only reason you did it is because they told you to, when in reality, if it was a good idea and you’re doing it, who cares why you’re doing it? At the end of the day, is the idea going to do a wonderful thing for your organization? Is it going to help your company more forward? And did that come from a feedback forum or your own brain? 28:53 Zach Ward: And I came from a place that, at least in the comedy world, there are a million comics working at companies all across the country, and they crack jokes and they forward memes and they think that they’re hilarious. And then there are a very small percentage who are actually executing on those funny, creative ideas, and making a career out of that creativity. So, you have to think about ideas and execution of ideas as separate things and give yourself permission to let people feel great, let people feel wonderful that they contributed an idea that they’re going to see happen in three weeks because you already have it in process, rather than shut them down because you were doing it before they said it. 29:37 Patrick O’Keefe: In the pre-show questionnaire, you said that, “The most challenging issue that I’ve faced and have helped others manage would be the defense against groups who attempt to overthrow the community, or who, in wanting to run/manage their own community, see poisoning the current community as the only way for that to happen.” I want to talk about that. Tell me the story. 30:02 Patrick O’Keefe: Divulging any details. 30:03 Zach Ward: Yeah, divulging personal information. 30:04 Patrick O’Keefe: I mean, I’ve definitely had people who, I don’t know if poison’s the right word … Well, poison is the right word. You know, I have had people who have tried … someone who was a former staff member, in my case. We didn’t see eye-to-eye anymore, safe to say, and they kind of went privately and really tried to turn a number of people against me. The staff all laughed, thankfully, but they did get some members who did not know the behind-the-scenes back and forth about it, to kind of go to this other community. And it definitely hurt us in the short term, but things like that happen. Like, it’s not an uncommon story. So, yeah, I mean, I guess tell me about it in the vague details. What ended up happening there? 30:37 Zach Ward: Well, I think these things really never go away. They sort of fade, and they continue to fade, and they continue to fade. But in communities, that’s why I said communities are this sort of bridge of professional and personal networks. So, in that, when individuals are looking to start their own community, it’s all about critical mass. In community management, it’s about having a critical mass of engagement and involvement in that community. In order to start something and have people move over, there has to be a reason for a critical number of people to jump ship and justify that decision to themselves. And so, that has happened a number of times in communities that I’ve either been running myself or have advised on. 31:22 Zach Ward: And it feels awful while it’s happening, because, as someone who sort of preaches, like, remove your ego, stay present, stay positive, assume positive intent, you can step back and it feels like the scene in The Matrix. Everything’s moving in slow motion, and it’s all going bad. But the biggest thing and takeaway for myself and the takeaway for the other community managers who I’ve advised is to continue to be loud about your own values and stay true to who you are and what you do and why you do it. And that will actually remind yourself, why am I running this community in the first place? Because the hard part is address the issues, bring the issues to light for people that weren’t even worried about it at all. That’s a real difficult thing, is to be in that space where you don’t want to loudly defend yourself and go on the defensive about a crisis, because in most cases, when someone is trying to poison the community, going on the defensive is exactly what that group or person is looking for. 32:27 Patrick O’Keefe: Yeah. You can say Fitbit has a community, and one of their products has a defect and it has to be recalled. That’s a crisis. But it’s a crisis everyone knows about who has a Fitbit. So, they need to step out and they need to be quick and they need to make sure everyone feels like they’re taken care of, their products will be recalled, they’ll be made whole in the end. Otherwise, the brand suffers. But you know, when you have someone who is disgruntled or unhappy or, for whatever reason, wants to spread that story within the community, maybe for their own ends, maybe they just have an axe to grind, whatever it is. Maybe they’re promoting a new community. It feels terrible, like you said. It feels like a huge thing. 33:02 Patrick O’Keefe: But if you take a step back, I mean, the reality … And it varies, obviously, case by case, but in the most notable one for me, and I actually wrote about it in my book Managing Online Forums—it’s in chapter six; I talked about it in really good detail—is the thing is, like, although it feels that way for me, and maybe the stuff is like, “Gosh, this is ridiculous,” most people don’t have any idea what’s going on. Like, most people are not affected by that. They come to the community, they have the people they hang out with, they talk about this topic, and it’s not like it’s a massive public issue. So, you know, there is this temptation that you might have to try to step out and make some sort of big proclamation, but I almost think it goes back to, like what you said earlier about ego, about what’s the benefit of that proclamation. Who exactly are you serving by making it? Are you just making yourself feel better? I mean, who actually knows about this? How many people really, really care about it that you need to announce to the whole community that this is a massive topic? I mean, I feel like you have to use that bull horn, so to speak, very responsibly. 33:57 Zach Ward: Yeah, and I think in those moments of crisis, I know with a lot of the organizations for crisis management, I look to a quote by Martin Luther King Jr., which is, “Accepting finite disappointment, but never losing infinite hope.” And this presence of mind to say that the things that are impacting us today are disappointing, and if they cause us to become negative or become hardened or let our ego take over so that we tweet at 3 a.m. unreasonable tweets—say, for example—if we let our ego take over, then unfortunately, that disappointment has started to rule our behavior. The crisis has ruled our behavior, rather than us as a community manager effectively managing that crisis. And the idea that, over time, there are people that have come before us that have experienced these things as a wave. Right? It’s a wave. We have to ride the wave out. 34:52 Zach Ward: Now, the issue with a lot of these things, especially when people are talking about starting other communities or, you know, say it’s a product that has a defect or whatever, like, in all of those, it’s competition. People may be creating another product, or they may be creating another community, and the idea that these are crisis or competition or another product that serves the same group in a similar way is always positive, as long as you stick around, right? So, the clarity of that crisis, the clarity that it’ll give to you for why you’re doing this in the first place, the clarity of meaning that it gives to the people that do stick around, can make that community that much stronger on the other side. 35:35 Zach Ward: The thing that raises the questions of ego and questions of insecurity are, how confident were you in this community before? So, most people who have real issues with a crisis are people who are not necessarily confident in that community and what it does to serve the people who are there. And so, that’s a difficult thing, that if you’re having a hard time being confident in the community that you run, and a crisis happens, you need support, not just for managing the crisis, but support in the way of people that can remind you of all the good that that community has done and is doing. 36:14 Patrick O’Keefe: Zach, you know, one thing I have to practice when I’m recording these podcasts is active listening and being present. It is a core, essential skill, so I joke … Or not joke, but the reality is that this show makes me better. That’s the secret, right? I host a show, but, really, I’m just learning from the guests and it’s selfish. 36:32 Patrick O’Keefe: Right? That’s totally a benefit. So, I really appreciate you stopping by to share your experiences with us. Thank you so much for coming on the show. 36:39 Zach Ward: Oh, thanks so much. I had a blast, and I think comedy and improvisation can change the world, whether it’s making just people laugh and sort of forget the stress of the day, or they can apply it to their actual personal interactions. Happy to talk about it. 36:51 Patrick O’Keefe: Yeah, and I look forward to my next visit to Chapel Hill to DSI Comedy, whenever that is. 36:56 Zach Ward: Awesome. That’s great! 36:58 Patrick O’Keefe: We have been talking with Zach Ward, the chief optimist at YesAndLife, which spins the “Yes, And … ” of improvisation and comedy into organizational development and communication training programs; the owner and artistic director at DSI Comedy, a Chapel Hill, North Carolina-based comedy theater school; and the founder and executive producer of the North Carolina Comedy Arts Festival. For more on YesAndLife, visit yesandlife.com and follow @YesAndLife on Twitter. You can find DSI Comedy at dsicomedy.com. And, finally, for Zach, visit zachward.com or @zachward on Twitter. For the transcript from this episode, plus highlights and links that we mentioned, please visit communitysignal.com. Community Signal is produced by Karn Broad. See you next time. Why Do People Love NASA?